Thanks to the finder for providing the images. Find not seen in person by FLO. A copper alloy Roman nummus (AE3) of Constantius II (AD 337-361). 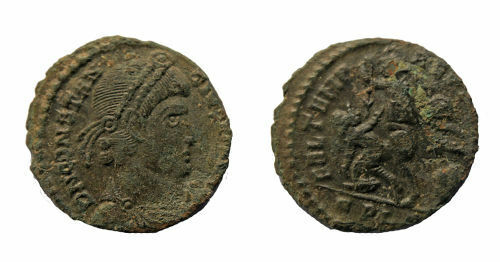 FEL TEMP REPARATIO reverse, struck in Lyon between AD 353-361. Reece 18.